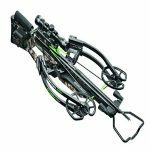 Are you looking for the fastest compound bow? Then say no more. 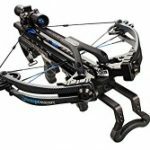 This compound bow shoots arrows at an impressive speed of 340 feet per second thanks to past-parallel limb technology of PSE that allows a forceful release of arrows. It doesn’t matter if you are on the hunt for small, medium, or large game. The size, power, and speed of the PSE Prophesy makes it perfect for everyone. Some users find the draw cycle a bit defiant but in most cases, the drawing is smooth and the bow is very accurate. You have to get used to its 75% left-off instead of the usual 80% though. The maximum limb bolt turns from bottom is 10 turns in this bow. Its 60 pound draw weigh makes it manageable for every hunter, regardless of whether you’re a veteran or a rookie. It comes in a Mossy Oak Break-Up Infinity style and a Planar Flex riser. 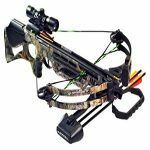 The package also includes an Aries Sight, Whisker Biscuit Rest, Flextech Stabilizer, Mongoose Quiver, PSE Neoprene Sling, Peep Sight, and Nock Loop. 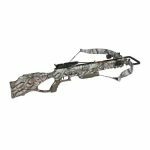 You won’t regret investing on a PSE product because they’ve been making bows for over 40 years and the company’s commitment to quality is obvious in this compound bow. The company holds many patents for their designs which is evident in the cams, hybrid designs, risers, and accessories. This exceptional bow by PSE includes the Backstop 2 which is a great help in eliminating string vibration. This string stop system is micro adjustable for length and also rotational for shooters to get the best fit in terms of where the string hits after releasing the arrow. The rubber stop is also color customizable if shooters want it to match the rest of their Vibracheck accessories. 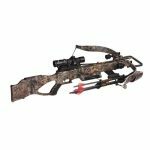 The bow also includes what PSE calls the Amp Cam (AP) with a 2nd generation posi-lock inner cam that helps increase the speed of the arrow so you can go in for a humane kill. It sends arrows on a smooth and accurate trajectory which is what most archers and hunters want. It has a six-inch brace height and measures 32 inches from axle to axle, making it a mid-length axle great for target shooting and hunting. With its draw length that ranges from 25-30 inches, it’s flexible for different users. The limb bolts can be adjusted to a maximum of ten turns. With its 60 pound draw weight, the bow becomes manageable for both a rookie and a veteran. 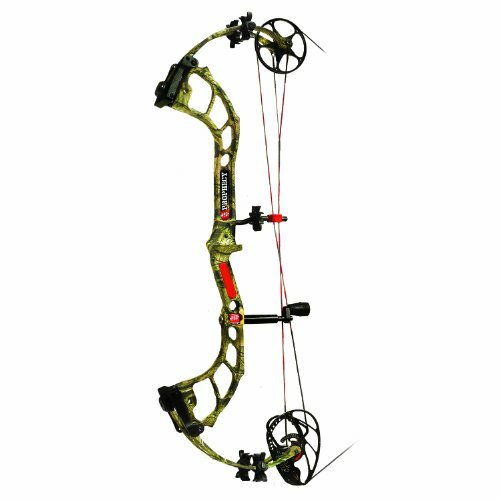 Another feature is its string track which is designed for top performance; PSE made it slightly larger than other manufacturers’ designs because they know their design works better with the newest bow shapes. 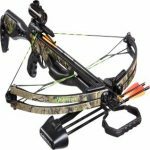 It does need to be ordered for a left-handed or right-handed bow hunter and a single bow is not interchangeable. The grip of the PSE Prophecy is another thing to be proud of. The thin grip of this bow won’t get in the way of accurate and still shots. Archers can truly get the feel for the bow and its tension prior to the shot. Aside from that, PSE provides the best hand placement for this bow so you can never hold the grip wrongly. Still, many shooters prefer to hold the grip with a gloved hand because it can get cold due to its proximity to the risers. Let’s go back to its Amp Cam. The Amp Cam powers the Prophecy to blazing speeds up to 340 feet per second with 75% let-off. And this is impressive for a single cam. The cam is made from 7075 aluminum, which improves strength without adding extra weight to the bows mass. The cam also has wide grooves to accommodate the string angles, making it tough to derail the strings in any situation. The PSE Prophecy is fast because its Amp Cam is designed for speed. Because of this, it results to a little more aggressive draw compared to other single cam models. But it isn’t as harsh as you could imagine. The draw is even smooth from start to finish, ending at a solid back wall. However, the valley is a little short on the Prophecy if the shooter does not properly pull into the wall to execute the shot. After the shot, the Prophecy has almost no sound at all. The hand shock is almost nonexistent as well. Overall, this bow is a delightful shooter and holds on target much better than expected. The Prophecy is an outstanding option for a single cam speed bow. Bottom Line: This is the fastest compound bow you’ll ever encounter. Aside from being versatile, it’s also a quiet bow functioning without vibration. Grab one now and you’ll experience fast speed like never before.